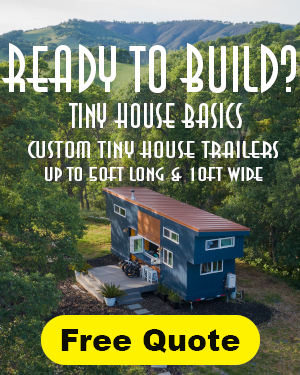 I just finished designing and building my first micro-home. I am a theatrical designer who has taken a detour this year to build something sustainable. It is made almost entirely out of repurposed and recycled materials. It is 12 ft. X 7 ft. with a 3 ft. tow hitch. The interior is cedar-lined and has a wood burning stove, designer interior, stand-up shower inside the bed, lots of storage, composting toilet hidden in the chair, solar chandelier and gravity water. It is built simply with simple parts and is easy to care for. It seats 4-6 people inside for dinner. A wooden rod runs along one edge of the roof for hanging a designer awning. The tires are brand new and it comes with lots of safety features such as carbon monoxide detector, fire alarm, fire extinguisher, LED lights, and a machete which can be very useful outdoors. 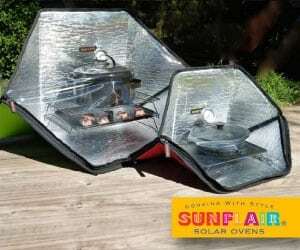 The 40 Watt portable solar panel, inverter, and lithium ion are battery all included. The door is only 19 inches wide and adds an instant charm along with the curved roof and scalloped flashing. The chimney is triple walled and the stove easily slides out for summer cooking or cleaning. It is insulated on all 4 walls, ceiling and floor to withstand a blizzard. It is wrapped in Tyvek House Wrap for weatherproofing as well. The shingles are rated to withstand hurricane winds. Weight- 3,300 lbs. This place is solid! And gorgeous! Ready to move in! $16,500 includes everything. No photo of the machete? That’s an awesome selling point! Nice job, small , functional, artistic, great use of reclaimed and used materials. My hats off to you. Thank You. It is your standard-issue serial killer/ jungle cuttin’ machete in a green sheath. Wow! This is perfectly and beautifully designed, artistically enhanced and extremely reasonably priced…especially after looking at these type of homes and seeing what you’re including with it. You have really gone the extra mile in it’s interior space usuage and using recycled materials. 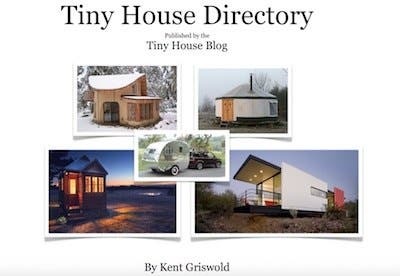 I have seen many of these as they are a someday dream of mine to own one…and your tiny home is phenomenal! Great job! How does the shower in the bed work exactly? I would live in this in a heartbeat. My heart did butterfly twirls when I saw this tiny house! Does anyone know how the stove can come out for summer cooking? I really want to do a wood-burning stove instead of propane, and thought about using one that could be stove-top and oven as well. But cooking with it wouldn’t work so well in the summer–unless I could use it outside! I built the chimney with double insulated walls and left about an inch of space all the way around the inside to slide the stove’s manufactured pipe in and out of it. 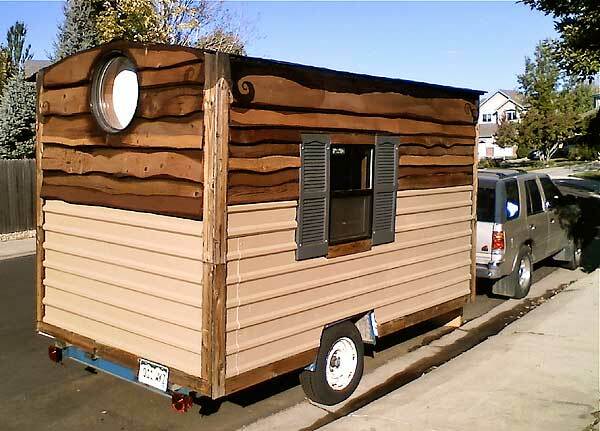 I like this one alot, nice camper. Very nice Whimsical design Inside and Out . Where is bathroom . Really Nice Hope that you build somemore . So charming. I am in love with this beautiful vardo-like thing but I fear I might not easily fit through the door with a bag of groceries. Stunningly gorgeous. I, too, would love more details about the shower! Such a great idea. Am also wondering about the interior height? Well done! The interior height is about 6’9″-ish. I am 6’2″ and I have lots of head room. I built the chimney so that there are a few millimeters of space between the stovepipe and the double-walled chimney which goes through to the outside. It took a bit of problem solving but it was a much better idea to make it removable. The shower uses a 5 gallon solar shower shown in the photo. There is a standup shower basin on the left and storage on the right interior of the bed with a stone tile bench separating the two. Since it is a solar shower it doesn’t get too messy or wet. In summer I prefer showering outside. Thanks for all the compliments! So many since I last checked. Oh…the bathroom is inside of the red chair which I reupholstered from a flea market. The seat removes and there is my own design of a composting toilet inside. I’m curious about the bowl sink in the kitchen. What did you use? I want to use a vessel sink for my bathroom area, but want it to be a little earthy, like your bowl. Did you put a drain in it, or do you just empty it outside after each use? I’m still looking for the right bowl. That one is wood and not waterproof. It just looks nice for show until I find the perfect one. It does not drain. I just realized that you also have a mirror along your kitchenette area. I would have never thought of that. It would inevitably make the room seem larger and allows you to multi-purpose the space. I also love the round window in the tree mural. When the sun sets, it will look as though it is setting in the picture of the tree. Ingenious. Can that round window have a screen in it and open? Thank you for sharing your wonderfully artistic build! On the sink: a friend of mine and I were fixing up a new kitchen counter for a friend’s small home (part container, part added on). The old kitchen counter was trashed particle board We took a solid wood door for the counter. After looking for something to re-purpose a cool sink, we couldn’t find anything so my friend built a wooden sink, then she ’tiled’ it with broken pieces of misc. tiles, grouted all of that and sealed the whole thing. We cut out a sink sized space in the door (it’s rectangle shaped), built a rim for it to sit on and sealed that in. Wa la, original, beautiful, practical. I originally had maple cabinets with stainless steel sink mounted in a formica countertop. I also had wooden school lockers for storage. I had to gut it and replace the furniture due to weight issues. SImple and light-weight worked best for this design. Ah! I wasn’t thinking about weight…yes, that would be an issue! I’m curious about that slatted wall cabinet. 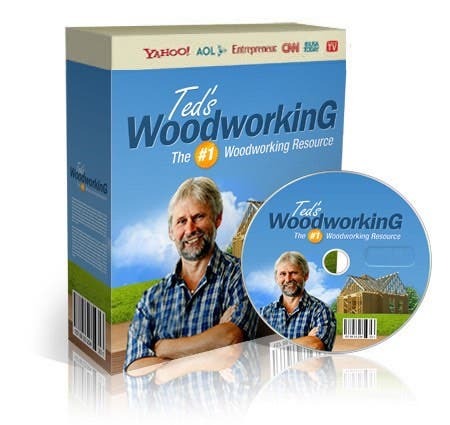 Did you build that out of scraps of wood or did you purchase/find it somewhere? What holds the structure of the cabinet and of the doors together? It looks great and seems like a really ingenious way to build cabinets with leftover material, especially if trying to avoid plywood with its chemicals, formaldehyde, and off-gassing! I didn’t build the cabinet. It is bamboo and was something that stood on the floor but had a broken leg when I found it. I cut the legs off and mounted it on the wall. Beautiful!!! Can you build one for me? 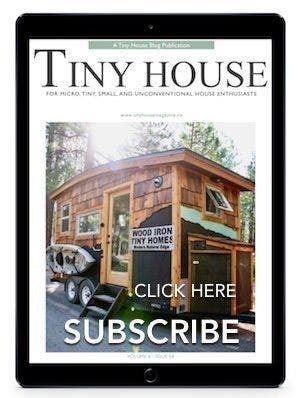 Enchanting and clever micro-house! Kudos! Very interested in visiting and buying. 316-519-9822. 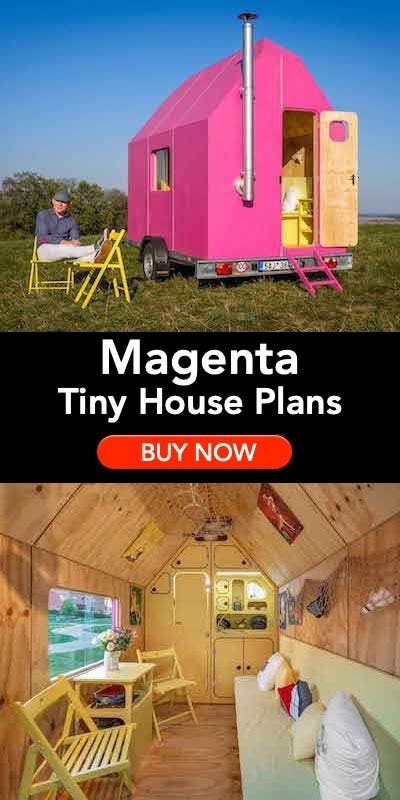 Is that a camping woodstove? I’m looking for an inexpensive wood heater for my bus. Please tell me where I can get one of these. Thank you! I would like to know where I could get a wood heater like that so that I may install one into my “tiny house” too! 🙂 Thank you in advance. It looks like one I bought at a local hunting/fishing/surplus store a couple of years ago. Mine is a Mil-Spec Great Northern Camp Stove http://www.sportsmansguide.com/net/cb/great-northern-camp-stove.aspx?a=645055 There are probably others online as well. It’s not much more than a horizontal verion of the old tin can ‘airtight’ (which is anything but!) doesn’t hold a fire for a long time, gets pretty hot. The spiky things flip outwards to dry socks and mitts and flip back to make a flat cooking surface. Oops, left the ‘s’ out, should be ‘version’. There’s an airtight here for comparison. http://www.deakin.com/shop/products/?p=2068 These things are crazy, do NOT use one! I’ve had them start whuffing and shooting flames out the draft hole if you don’t operate it right. Once had a whole canning pot of water get flung off when the stove lid flew open after it started huffing and puffing. Very thin metal too. I got to “tour” this work of art and it feels very roomy inside. Glenn not only knows how to maximize and multi-purpose space, he knows how to create the illusion of space. With two men (both over 6’2″) and four women inside, it was cozy, but not crowded. You have to see it to believe it! Hi Glen, what a beautiful home you have made! Would you be ok with me featuring it on our blog? I’m happy to link to you or put a contact email for you? Do you use plans to build this? Do you have plans available? I love it and would like to build one with my own spin.